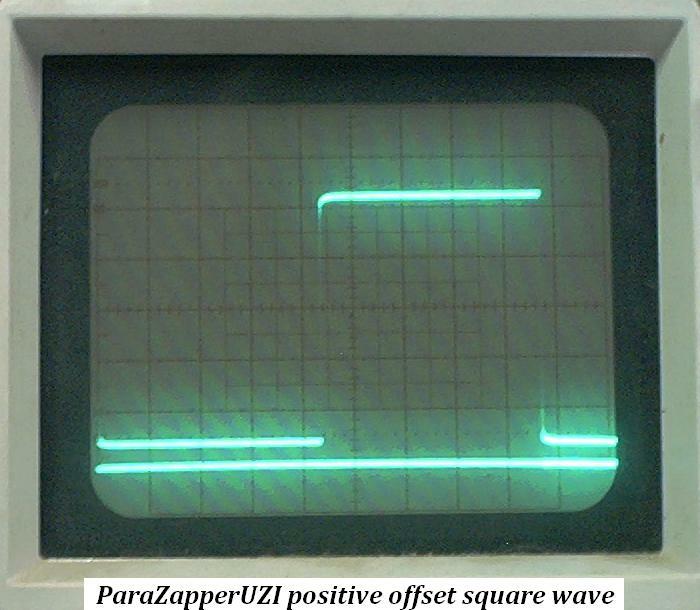 including true square wave and positive offset. our company has a top rating with the business bureau. This site uses links that allow you to quickly view additional information. Simply click on the blue underlined words to see more about that topic. You may also click on most pictures to see a larger version. Many satisfied and happy ParaZapper customers. and True Squarewave under load. Notice: We have new improved models available now. We are adding to our product line so read to the end of the page for full information. Yes, Current Compensated Stabilized output on all ParaZapper ™ models. Optional Super Stabilized output ( not recommended ) on ParaZapper ™ UZI models. Better Dual Frequency zapper (30 kHz)and (2.5 kHz)= better results than single frequency. Multiple Frequency zappers can reach more organisms. Long battery life: Power and Status LEDs on all models show that the unit is working correctly, not just on or off. Basic Instructions for water treatment and detailed Information booklet available separately. Ruggedly built for long lasting reliability. Over 25,000 sold since 2001 with over 98 percent customer satisfaction. Satisfaction guarantee includes a 30 day return policy, 5 year parts and labor warranty on our Zappers. Toll Free Customer Support for US and Canada. E-mail support is also abailable. ParaZapper kills microbes in water. Image shows that the microbes in the jar on the right are killed by zapping for a 1 hour session, two days in a row. The cloudiness and color of the control jar on the left shows that there are still living microbes in it. If it can do this with water, why could it not do the same with other water based systems? Time for more studies? Are you interested in researching this amazing gift? We offer a range of safe, good quality, reliable zappers, made in the U.S.A., that work and our customers love it. A good reason to buy our products is that we offer better quality at near wholesale prices, not the over inflated prices that some dealers charge. Do not end up paying over $200.00 for a product that has nothing more than a timer chip, cheap components, lamp cord wires, and alligator clips, and should only sell for $60.00 or less. Any zapper that sells for over $100.00 US should have a microprocessor ( computer chip ) in it. All of our products except for the STD and the CCa have a microprocessor for greater accuracy and reliability. These products use Pulsed Electric Field or Pulsed Electro-Magnetic Field (PEMF) technology which has been studied by the FDA for inactivation of microbial organisms in foods and found to be effective. While some sellers may try to claim otherwise, Zappers have not been approved by the FDA for use on humans. The use of PEF has been approved for the treatment of certain cancers in humans under certain circumstances. If you are looking for the absolute best zapper, check out our ParaZapper ™ UZI with copper paddles and pads below. It is actually 6 different zappers in 1 with an output level of 10.5 volts compared to others which may only have 9 volts or less. Some competitors units are so weak that they even tell you that they do not kill microbes but only boost the immune system instead. If the UZI is too costly, then consider the ParaZapper ™ CC1 with copper paddles and pads. It has 4 modes with a total of 9 frequencies and a full 9.5 volt output on a fresh battery. 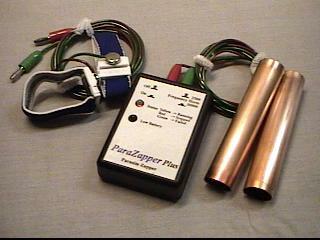 Or consider the even better ParaZapper ™ CC2 with copper paddles and pads. It has 29 special frequencies in 6 modes. Wrist straps are not recommended but we have them available below. Can the zapper cure or heal? This is a question that as a result of current regulations here in the U.S., we aren't allowed to provide information about and have had to remove them from our website. Since their introduction, however, many producers and sellers who have provided them have been pursued and shut down by the FDA, whenever these devices have been sold for use on humans, intended to treat disease, support or sustain human life, or prevent imparment of human health. The FDA has not listed any claims of injuries or problems. The FDA only states that registration and fees have not been paid. Therefore under the FDA'a regulations, the zapper does not present a potential unreasonable risk of illness or injury. None the less, regulatory actions continue; for this reason, we do not sell zappers for purposes that require FDA registration and/or validation. We encourage you to sign the following Petition to congress to stop the FDA from pursuing zapper manufacturers and depriving you of your right to make health choices. If you do find a site that offers testimonials of healing or cures, they are probably outside of the US. As a result of the FDA's policies, we were raided in 2006. According to some lies posted on the internet we were accused of making fraudulent claims and that we settled with the FDA but this is entirely false. We were never charged with any crime or misdemeanor but were sent a letter explaining that our products were considered as CLASS III life support devices when sold for use on humans and for that reason, we had to had to register our products, pay extensive fees, and go through their expensive approval process. This goes to show not only the extremes that the FDA requires, but the extremes that some dishonest competitors will go to in order to boost their sales by discrediting others. One such competitor has a long history of making false claims such as being rated the best by other competitors. This is obviously a distortion of the truth if for no other reason than their product is probably the cheapest made zapper around at one of the highest prices. Use care in your selections and beware of the hype. A single frequency zapper is extremely cheap to make and even cheaper with a 90 percent duty cycle. It is also very easy for foreign companies to post testimonials regardless of the claims made. You as a free adult individual have the right to choose how you use any devices you purchase for yourself without repercussion from the FDA even though we do not sell them for this purpose. 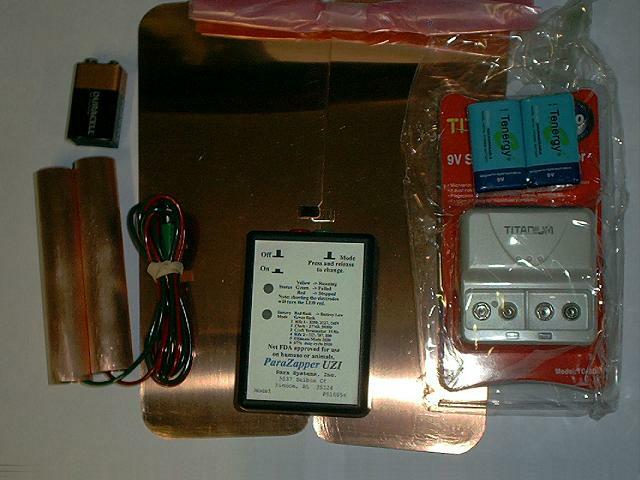 Since FDA regulations do not allow for the sale of zappers for use on humans or animals, while they meet the same manufacturing standards as before, the Zappers below are sold for the experimental use of lowering levels of bacteria, protozoa, fungi, parasites, and other organisms in standing water such as cooling towers, ponds, fountains, water containers, or similar water tanks. Results may not be significant in larger volumes of water. 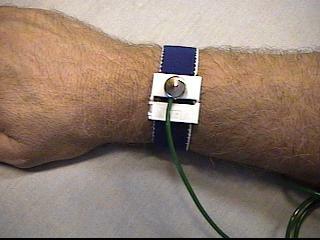 Zappers are often used in research and study applications. While we couldn't find any rules limiting individual personal research, any doctor using zappers for research on humans or for treating humans may have to register with the FDA. It is the responsibility of the professional to meet these requirements. Using these devices for eliminating parasites from water is easy but is not 100 percent effective. Before and after microscopic examination of pond water samples show significant reduction of microbial content after usage in some but not all cases. For more information, see: zapper works video. Normal application is to place the electrodes into the water, further apart is better. The unit is then turned on 7 minutes or longer, turned off for 20 minutes, and this is repeated 3 or more times. Note, these are minimum duration and cycles for smaller volumes of water. Naturally, large volumes of water may require longer times, a greater number of cycles, and more powerful units. Not intended for use with drinking water, potable water, swimming pools, or for food preparation. 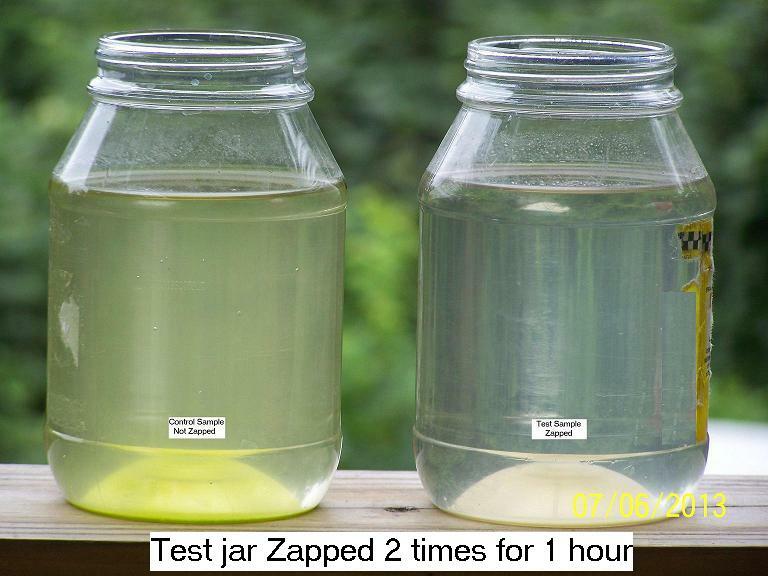 For additional information about zapping, see: Parasite Zapping and the Zapper. [Click here] to Ask congress to stop the FDA from pursuing zapper manufacturers and depriving you of your right to make health choices. however, if you need to reach us at other times, call anyway. We do not take orders by phone and can not make recommendations for use with humans or animals. A book about zapping is available from another site: Parasite Zapping and the Zapper with information on the Zapper. If we are not in, leave a name and phone number, we will call back. Both numbers are for the same phone line. Notice: On advice of counsel, we are required to inform you that the statements and claims on this web site have not been evaluated by the Food and Drug Administration and are not intended to diagnose, treat, cure or prevent any disease -- not for use on humans or with pets. These battery powered devices are not offered or intended for human use or to diagnose or prescribe for medical or psychological conditions nor to claim to prevent, treat, mitigate or cure such conditions, nor to recommend specific products as treatment of disease or to provide diagnosis, care, treatment or rehabilitation of individuals, or apply medical, mental health or human development principles. The devices discussed herein have not undergone evaluation and/or testing by the United States Food and Drug Administration or like agency of any other country. Risks that might be determined by such testing are unknown. The information on this site is not a substitute for medical or veterinary advice.